I purchased a couple of these and found them to be the best shoo fly pies I ever tasted. I tried to make the pie on my own and found Golden Barrel’s to be the most delicious I ever tasted! 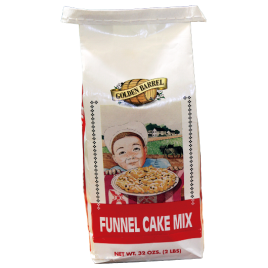 You can’t beat the amazing taste of this shoo fly pie mix. Love it, Love it, love it. 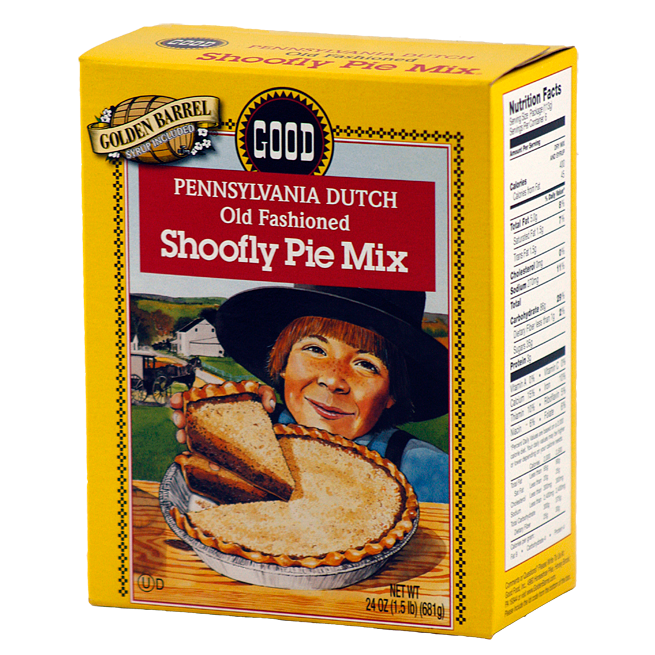 I can’t say enough about how delicious the shoo fly pie mix is. It never lasts long in my house. Thank you for creating such an awesome product. 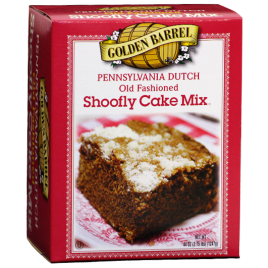 I Love your Shoofly Pie Mix, it is just like my Granny made, way back when I was a little girl. 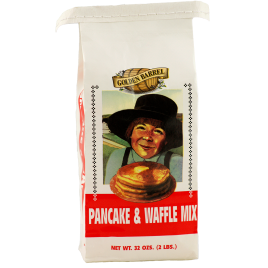 I do believe, it has to do with the molasses, and your’s is perfect. I will be ordering more soon. If you has 10 stars rating it would be 10!! The best. 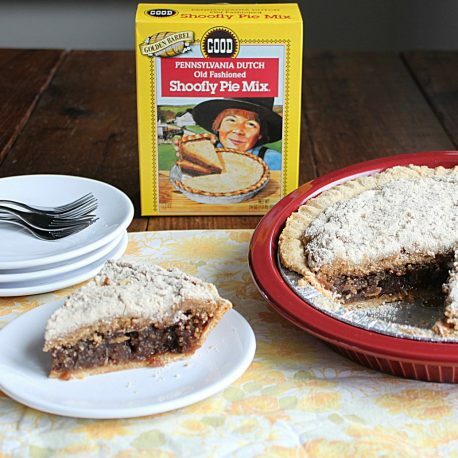 I’ve had home made Shoofly, bought many Shoofly Pies and this is one of the best. So easy, just add water, and pour into pie crust and bake. Impress your family and friends. We buy them by the case and have even given some as gifts. We are originally from York but have been in Ohio for 15 years. I bought 3 boxes at the Harrisburg airport and we just made the third one about 2 weeks ago. 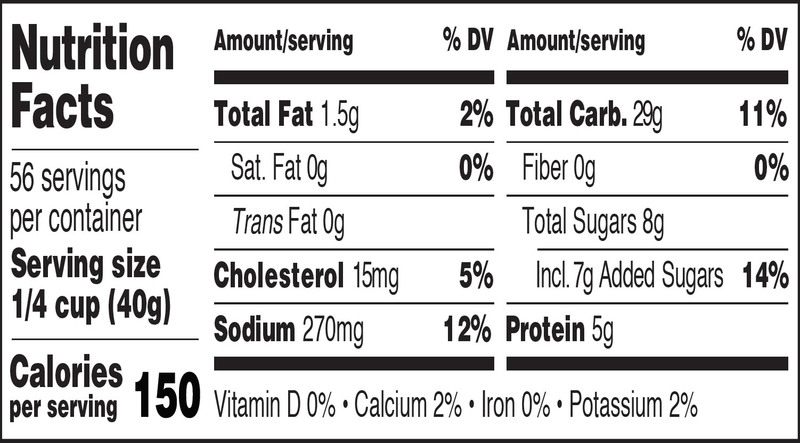 It brings home to Ohio and they taste as good as any shoofly pie I have eaten. They are also easy to make. This review is from my husband who says this is now his favorite pie that I make from your mix. I know he would love to try the cake. Best mix ever!!! On occasion, if I want a wetter bottom pie I add an extra 1/4 Cup of Sorghum Syrup or Blackstrap Molasses. I have made many shoo fly pies and this mix is as good as mine, maybe better. Born and Raised on shoo fly pie! 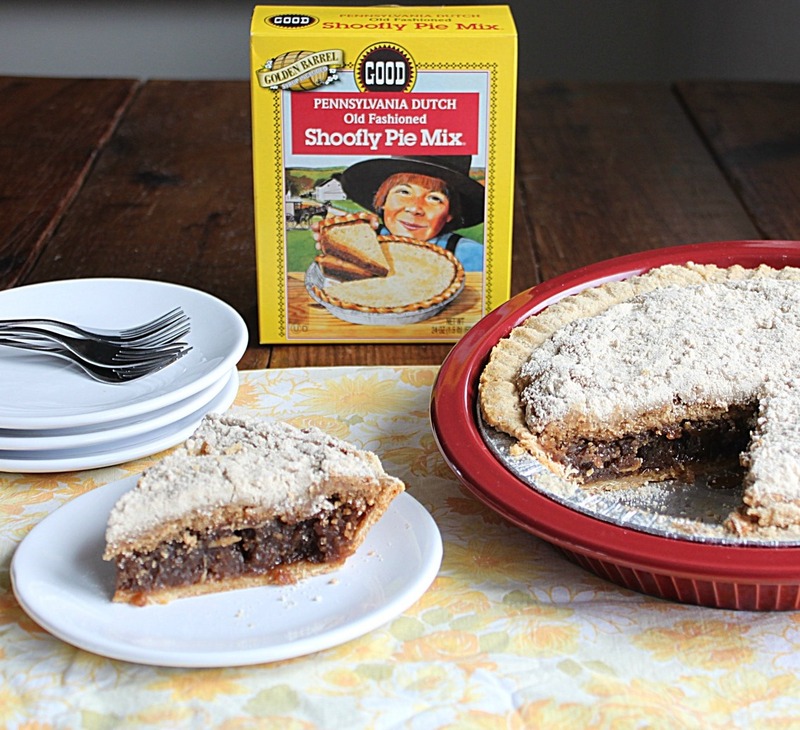 When I moved away from Pennsylvania I lost my favorite thing shoofly pie! When I found your site I thought fantastic I can finally get some of back home down to me in Georgia so I ordered some made some and we as a family are in love with them thank you thank you thank you!!!!!! 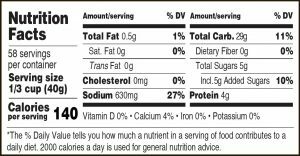 My husband and I love this product. My husband likes his shoo fly pie gooyier than the recipe so we add an extra 1/8 cup of sorghum or mollases. Highly recommend it. My husband bought the Shoo Fly Pie mix for us to try and everyone loved it. It is easy to make and tastes great, will be buying again . So good and so easy. You do need a crust, but you can buy or make them and store them in the freezer. When you are ready for a Shoo Fly, you need only the mix and some hot water. Bake for 1 hour, and you’ve created a great treat. 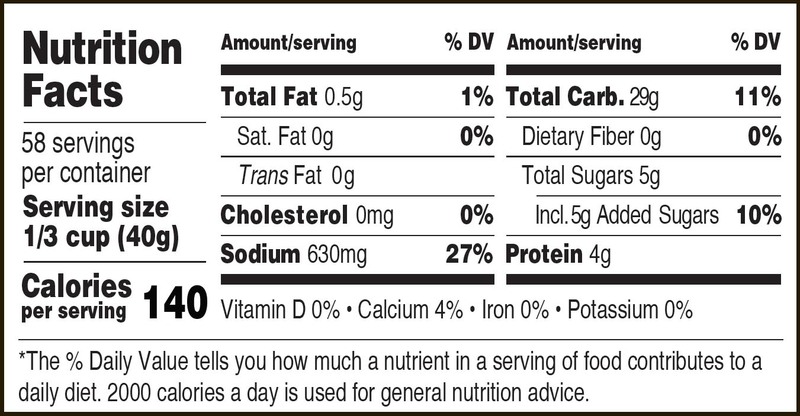 Couldn’t be easier and definitely delicious.